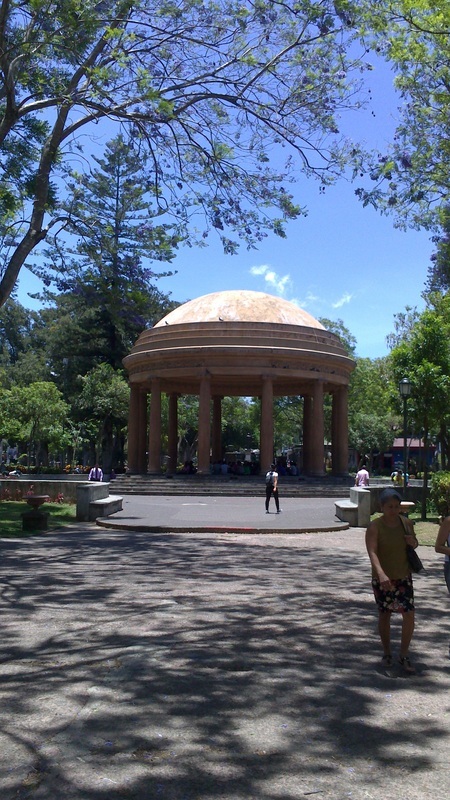 We start our tours under the large domed temple located in Parque Morazan (pictured at right, 9.935441, -84.075420). This park is in front of the Holiday Inn Aurola. If you are staying in the immediate downtown area it is easy to reach walking. If you are at a hotel further away you can either call a taxi from your reception or book our transport for the same price. We operate RAIN or SHINE. If you get delayed the day of your tour please call (506) 6478-2937 or email BarrioBird@gmail.com. If you can't make the tour please be considerate and give us notice, otherwise we will be waiting for you unnecessarily. Pack water and apply sunscreen!